In 1848, Puerto Rican Governor Juan de la Pezuela Cevallos dictated that anyone "tolerating merengue in their homes" would be fined, and those caught dancing the forbidden dance were to be imprisoned for 10 days. Neighboring Santo Domingo also took similar legal actions, forbidding the playing of merengue in the city's upper-class saloons, thereby relegating the musical genre to the rural areas of the Caribbean. It would be until the 1930s, with the rise of the dictatorship of Rafael Trujillo in the Dominican Republic, that merengue would make a resurgence in polite society. 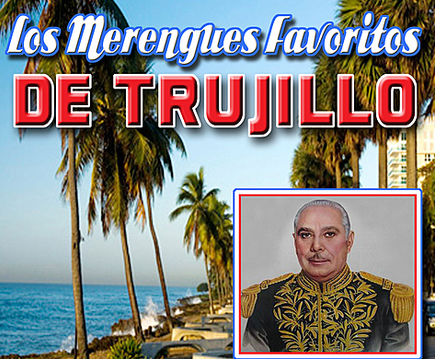 Generalissimo Trujillo had a rural, working-class background, and to solidify his rule over the agrarian masses, he turned their forbidden music into the country's official genre. La Voz del Yuna, the country's first radio station, the first recordings, and the first orchestra bands were all financed by Trujillo and overseen by his brother, Petán. I wrote my senior thesis at Yale about the Trujillo dictatorship, but completely neglected to mention his music; because the history of the origin of our country's best-known musical genre is hidden, and it has been through Youtube that many Dominicans have begun to learn about merengues from the past. Not only is the history of merengue suppressed in schools, but any music that lauds the dictatorship or the Trujillo family is banned by Dominican law. The problem is that most of the music recorded during the era, since it was financed by the Trujillo family, falls under the scope of the law. Luis Alberti, the father of orchestra merengue, said in the 1970s that he believed he would be forgotten after his death, as he was already barely known just one decade after Trujillo's assassination. True to his prediction, most Dominicans today have no idea who he was. A large number of Dominicans still support the dictatorship, and talk about the era positively, so clearly the law hasn't been able to successfully suppress people's feelings about the era. Making music from the era illegal only serves to reinforce nationalist fears that Dominican identity is facing a ruthless, monolithic conspiracy from all fronts.